This will come as a surprise to most people but I’ve written a few books. Hey, even I was surprised when I stopped to think about it. And three of them are about really cool cars. Turbine Cars, Wings and Tuckers. My podcast usually focuses on cars and the law seeing how I am an attorney specializing in automobile law. But my writing tends more toward the automotive and/or history angle of my interests. So, I talk about the cars at the heart of my three car books in this week’s podcast. 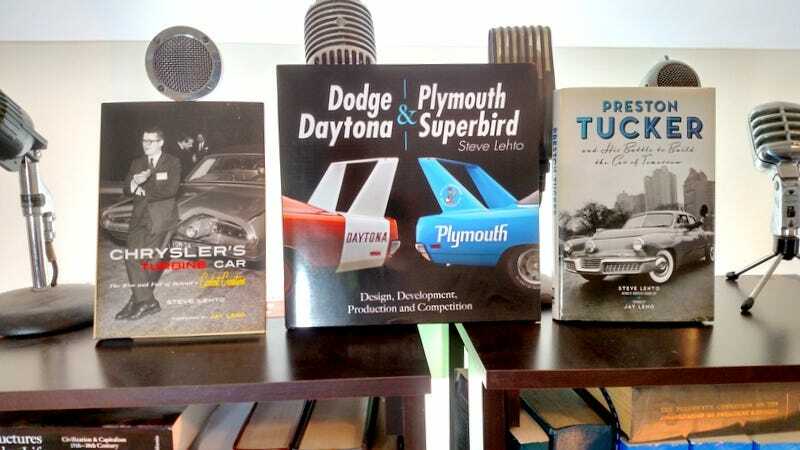 Chrysler’s Turbine Car is one of my favorite automotive topics and the book I did on it has a foreword by Jay Leno. Many people are unaware that Chrysler started building the jet cars in 1953 and worked on them into the 1980s. While researching the book I even got to drive Jay Leno’s Turbine Car. The winged cars - the Daytona and the Superbird - are also favorites of mine. I’ve driven Bobby Isaac’s K&K Daytona and ridden in Richard Petty’s Superbird, all in the name of research, of course. But I also got to interview many of the men who designed and built the cars. And I’ve gotten to see quite a few. The book is chock full o’ pictures. Oh, and I explain why that “The wing was so high so the trunk would open” thing is nonsense. Not everyone will believe me but I’m used to that. And, of course, my latest book is about Preston Tucker and his ill-fated car company. From the childhood farm in Capac, Michigan, to the factory in Chicago, there were a lot of twists and turns along the way. And 51 cars got built - 47 of which survive. I’ve jokingly called myself the Patron Saint of Low Volume Production Cars. Know of any other cool cars that were built in low numbers? Maybe I’ll write another book.